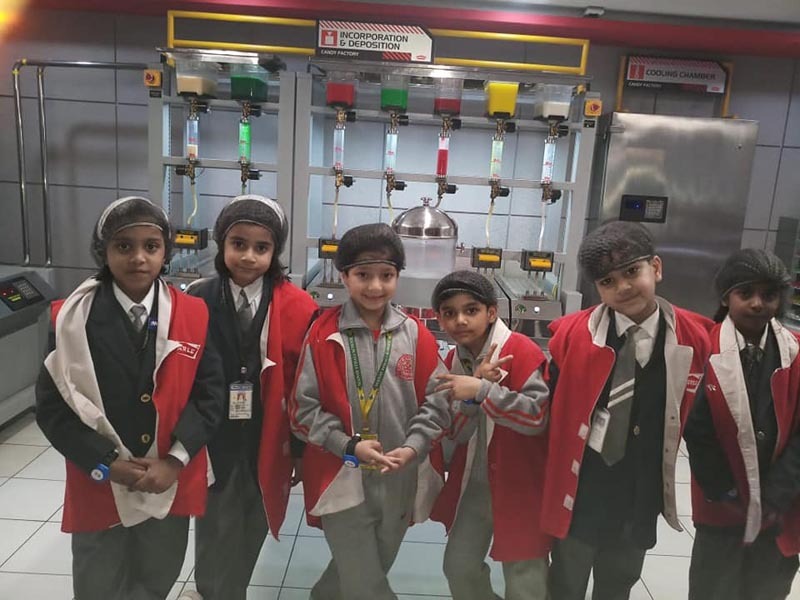 Students of Classes I, II and III enjoyed their day out at KidZania in the month of February 2019. 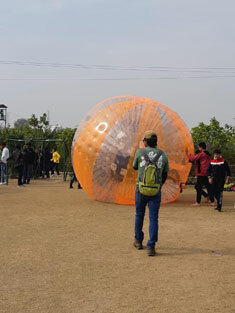 There are wide range of fun filled activities in this huge indoor game park. 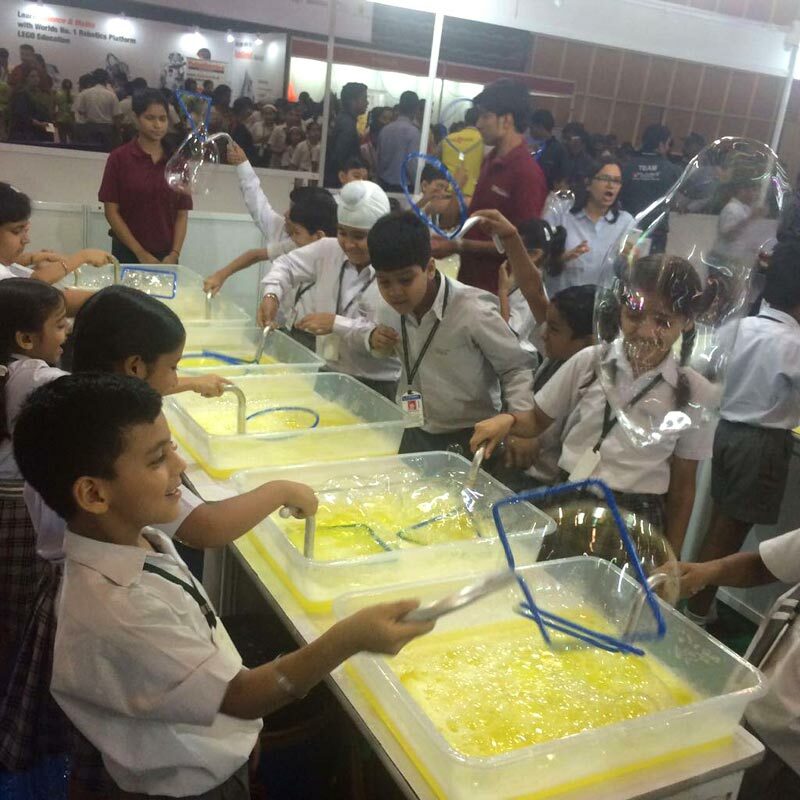 Children took great interest in trying their hands on different theme based activities. 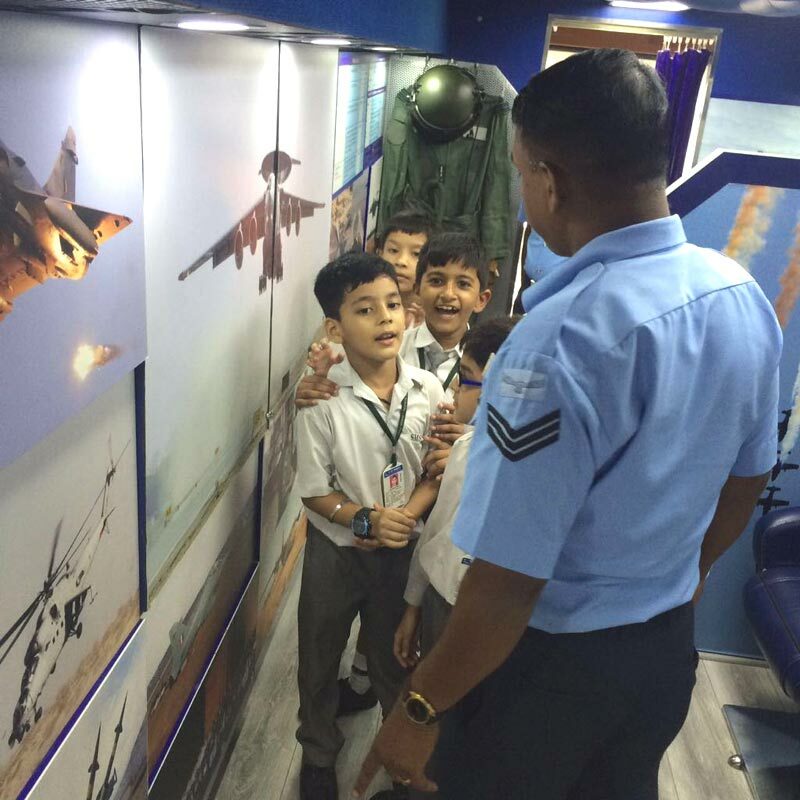 It was a wonderful experience for the enthusiastic kids. Students of Classes IV and V enjoyed a day out at Rocksport outdoor camp. It was great day for the children as they experienced many sport activities for organised for the children such as net crawling etc and variety of fun filled activities like pottery etc. An exciting, fun filled session of adventure and rock and roll was organised at the Rocksport Outdoor Camp for the students of Classes VI to VIII. 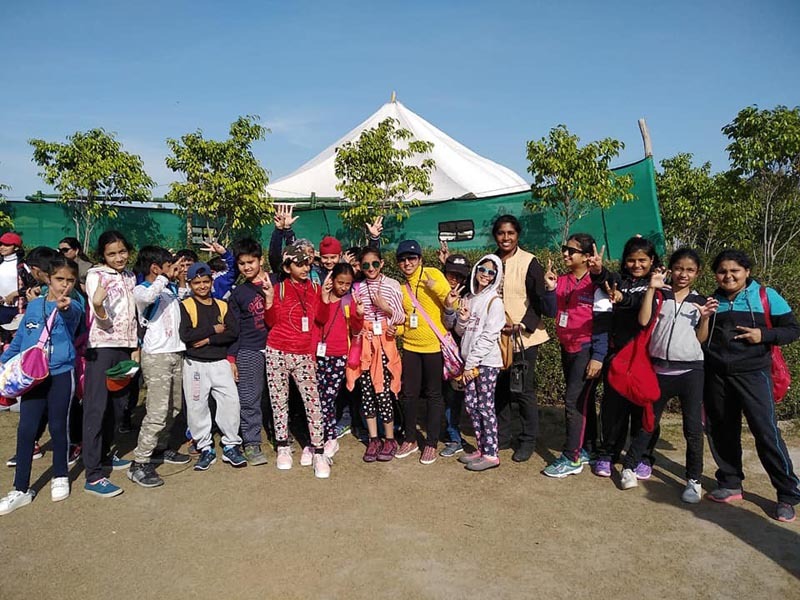 The day had a kick start with healthy breakfast for the students at the campsite followed by lunch and snacks during the later part of the day. 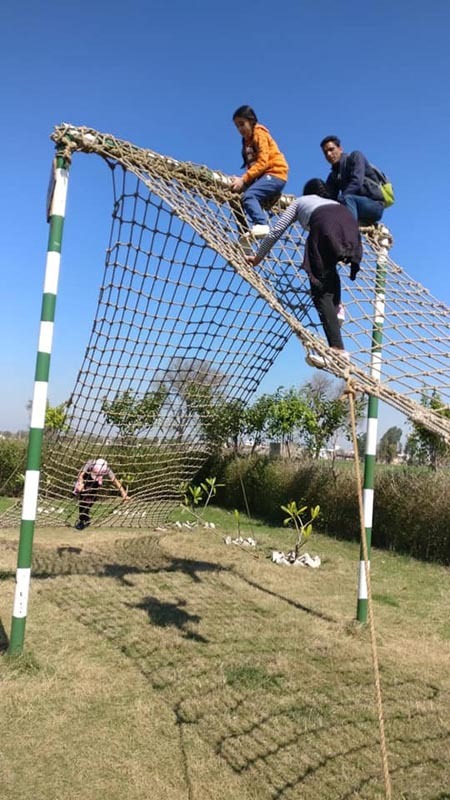 The students took up activities like zorbing, zip lining, rock climbing, pottery, tractor rides, Burma Bridge, commando net, hamster wheel, commando crawl, and tug of war. 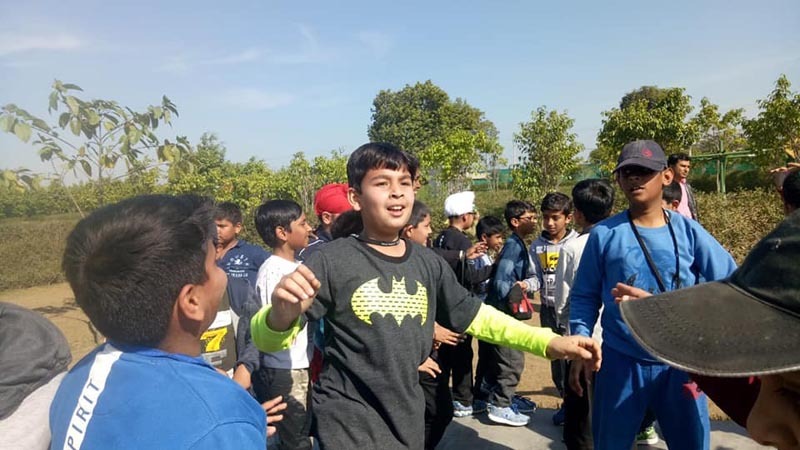 DJ dance and combination of fun filled games and life skills activities under the supervision of teachers and professional instructors made their learning experience richer, joyful and rewarding. 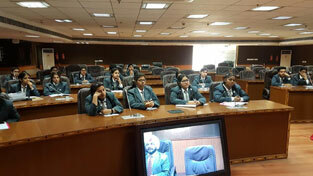 An educational visit was organised to Dwarka Court to give an exposure to students about the proceedings of the Judiciary. A group of 30 students from classes XI and XII along with teachers visited the court and gained an insight about the court room sessions. 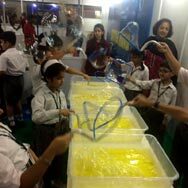 To mark the celebration of Children's Day, the Nordic and Baltic Embassies organized a film festival in New Delhi from 14 to 17 November. 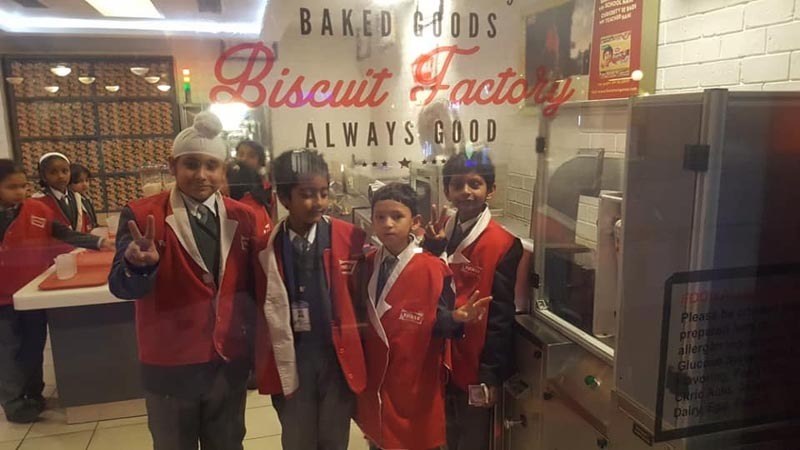 Our school was invited to the festival where, “Iqbal Farooq and the Secret Recipe" a Danish film was screened. 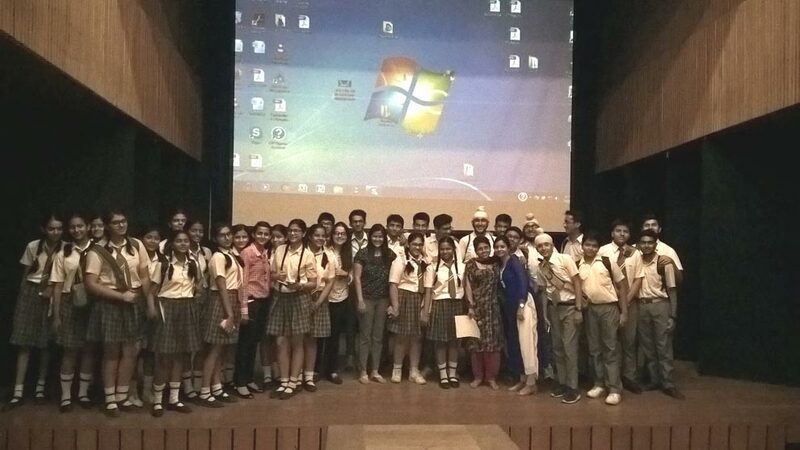 A group of students from classes VIII to XI went to see this movie at the Deshmukh Hall, Lodhi Road. 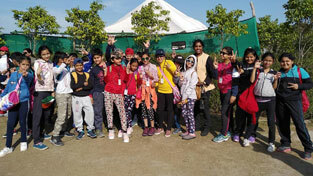 It was a wonderful experience altogether for everyone. 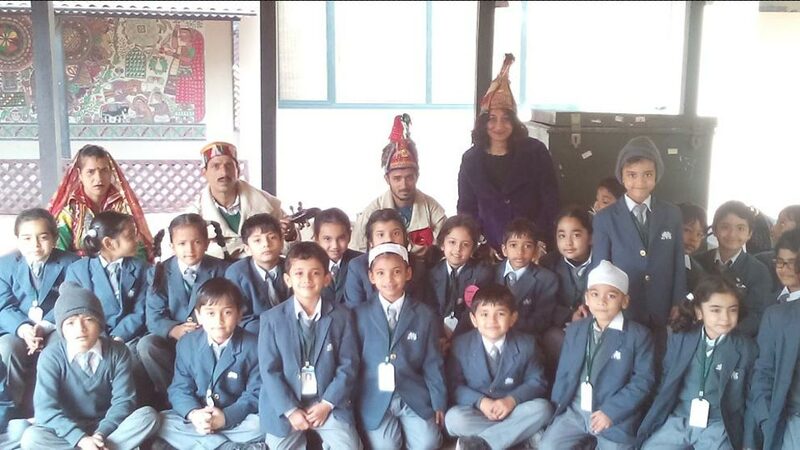 On the occasion of Children's Day, our school Principal Mrs. Alka Kher and Mr. 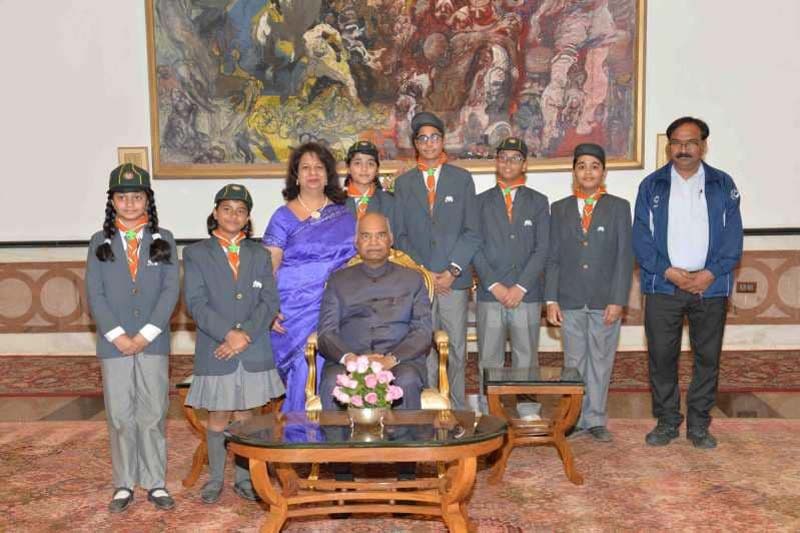 I. P. Arora, in-charge, Scouts and Guides along with selected students Rishika, Akshra, Saksham, Aditya, Namya of Class V and Dishant of Class VIII met the Honourable President Mr. Ram Nath Kovind. 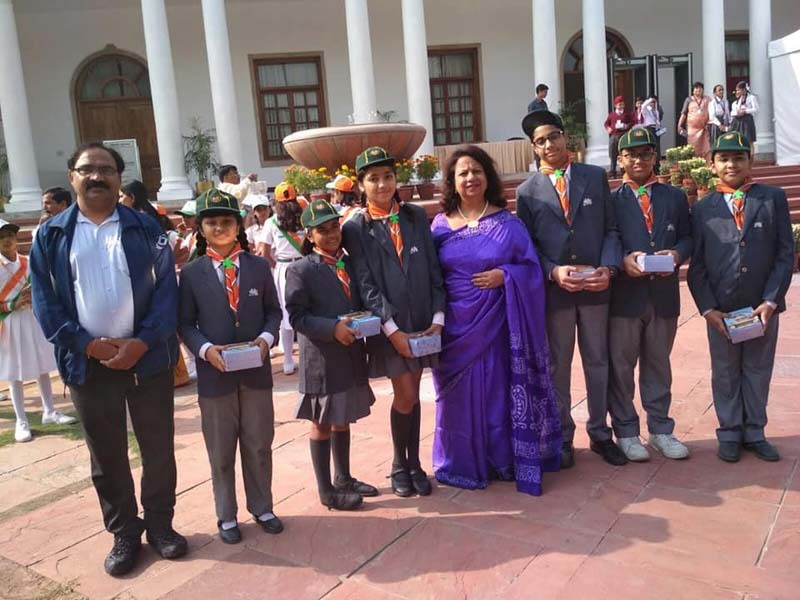 The group visited The Rashtrapati Bhawan and saw the Museum which showcases the legacy of Indian Presidents and select chapters of the freedom struggle all under one roof to get a glimpse of how the planet’s second-largest presidential estate works. 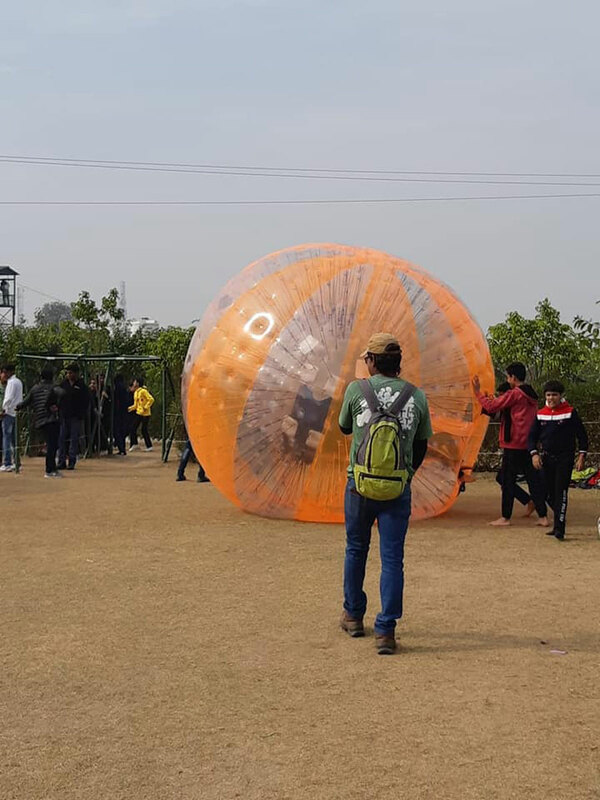 A day outing was organized for our students to alleviate any stress due to the upcoming final academic year exams and let the students feel free and enjoy a day off. 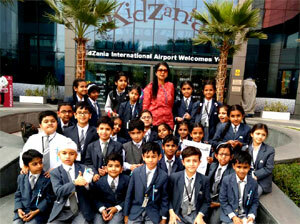 The class teachers accompanied the students. 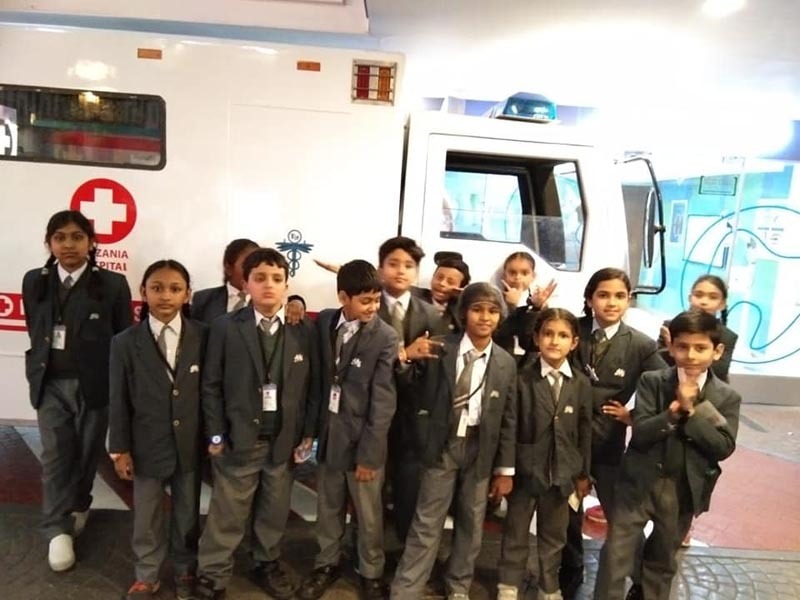 Students of Classes III, IV and V had an educational trip to Kidzania, Noida on 18, 19 and 20 February 2018 respectively. 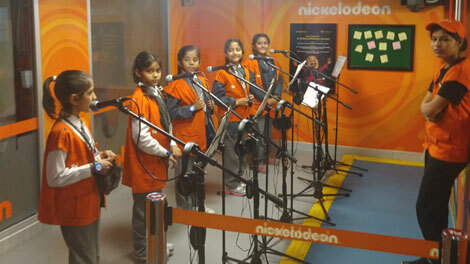 Children enjoyed the visit to the Global Indoor Theme Park. 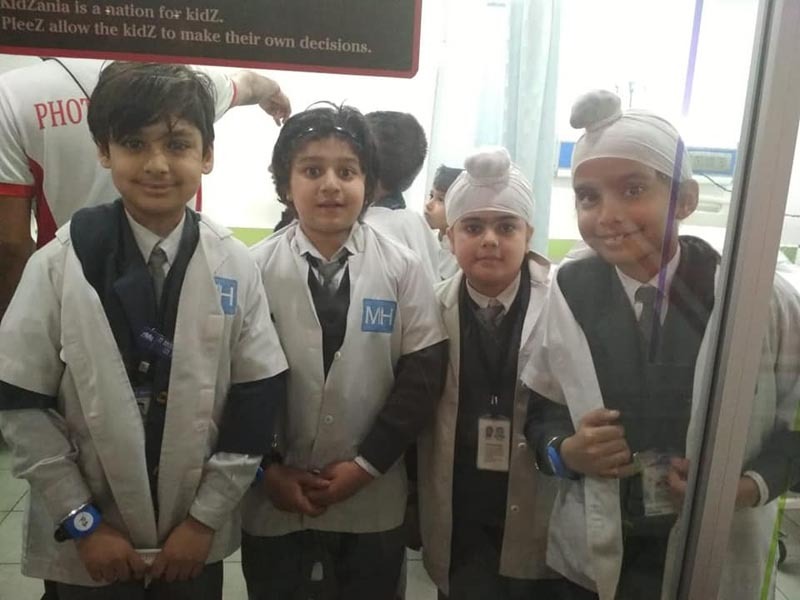 They participated in role- play activities of pilots, surgeons, detectives, chefs, firemen, television producers, radio- jockeys, mechanics etc. It helped develop psychomotor, cognitive and social skills amongst children. 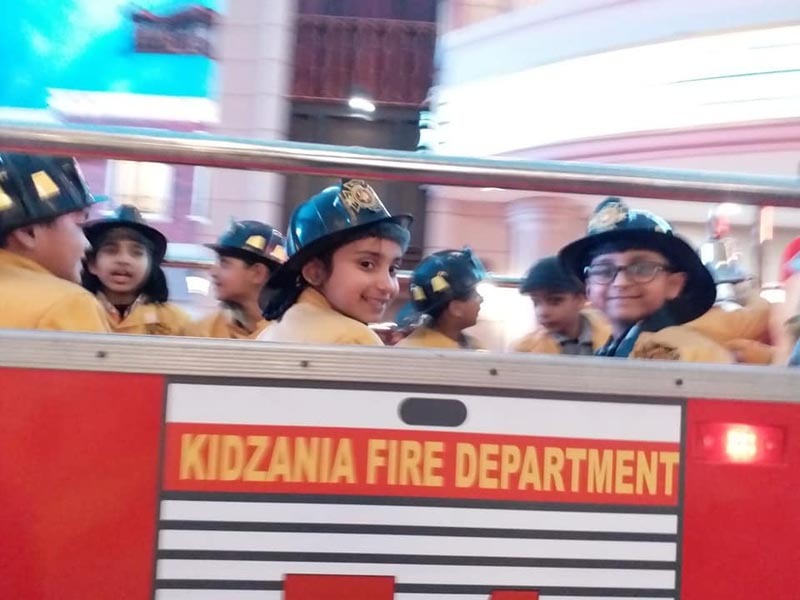 Overall, Kidzania was a perfect day of fun, learning and socialization. 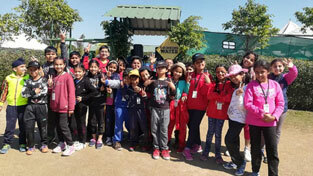 Students of Classes VI VII and VIII visited Adventure Island, Rohini on 6, 7 and 8 February respectively. 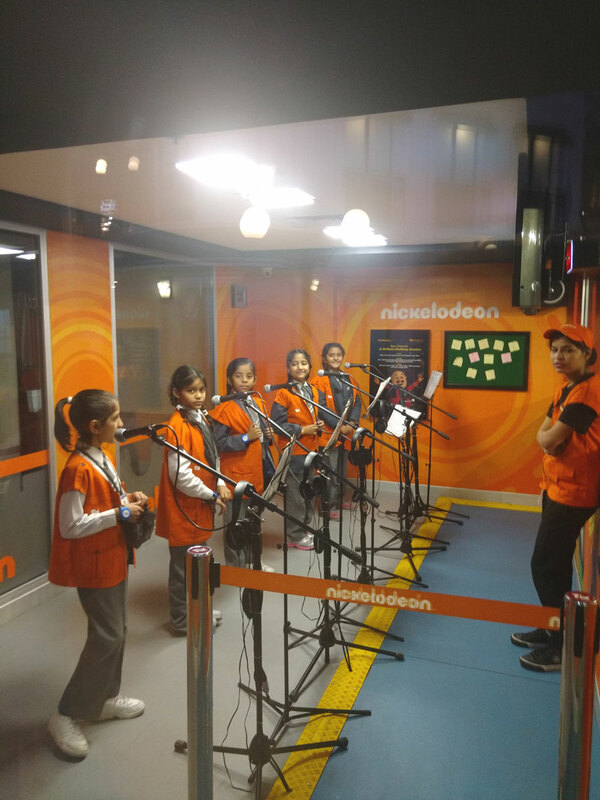 The students thoroughly enjoyed the magic show as well as the various rides and attractions available in the amusement park. 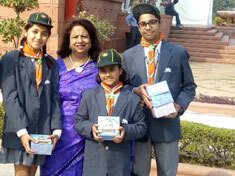 They also brought various artefacts and toys from the stalls available. 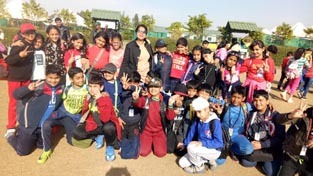 The trip also provided an informal setting for the teachers and students to connect. The picnic was a huge success as it gave much needed respite to the students as well as the teachers. 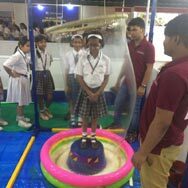 Our school in association with ‘Leo Planetaria’ introduced the concept of mobile planetarium education for the students of Classes I-V. Digisky TM Mobile Planetarium shows were organized on 31 October 2017. 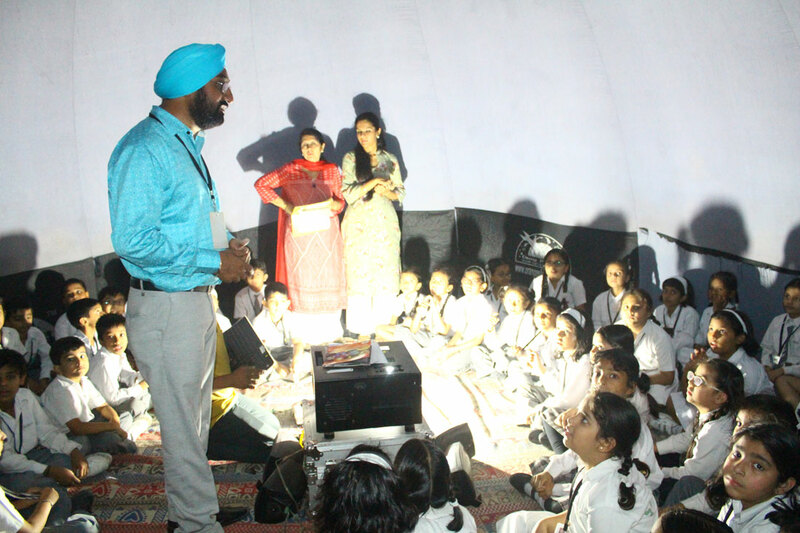 The students were taken on a virtual journey to connect them to the fascinating night sky. They learnt about various constellations, story of pole star and its location. 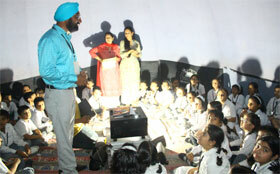 It was a 3600 immersive experience, which dazzled on budding astronomers. 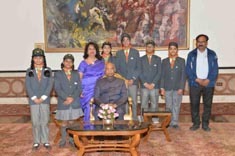 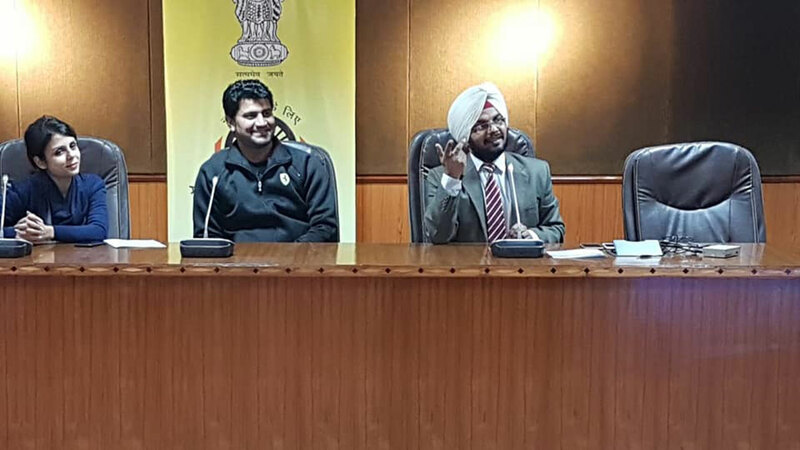 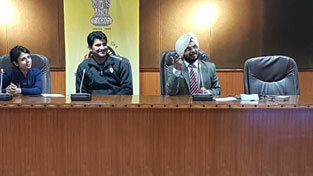 On 14 November 2016, 6 students of our school, namely Dhruv Kakkar, VIIF; Vansh Malhotra, VIIF; PulkitA huja, VIIB; Angel, VID; Kanak, VIID and Pashveen Kaur, VIIB were chaperoned to the Rashtrapati Bhawan by the Principal Ms. Alka Kher and scouts and guides incharge Mr. 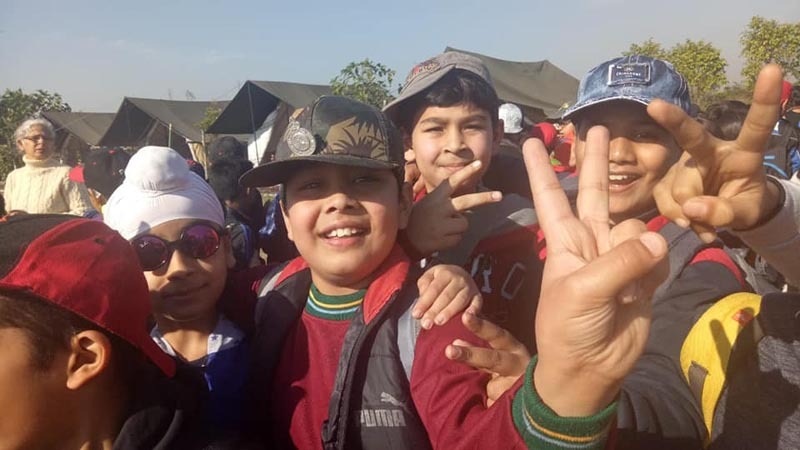 I. P. Arora. 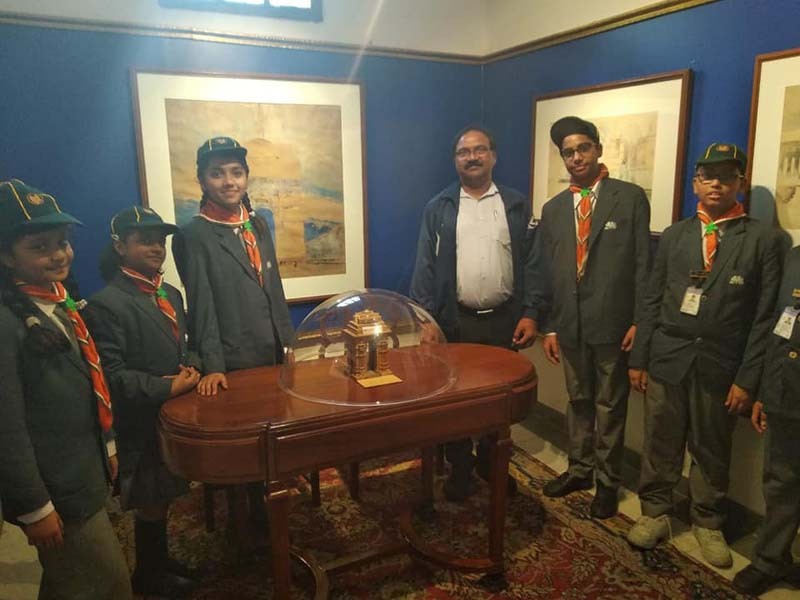 The students, were overawed and intrigued by the objects at the museum of the Hon’ble President of India, which included royal habiliment and vesture, regal seats, cars, international lagniappes, models, portraits of great Emperors and Queens. 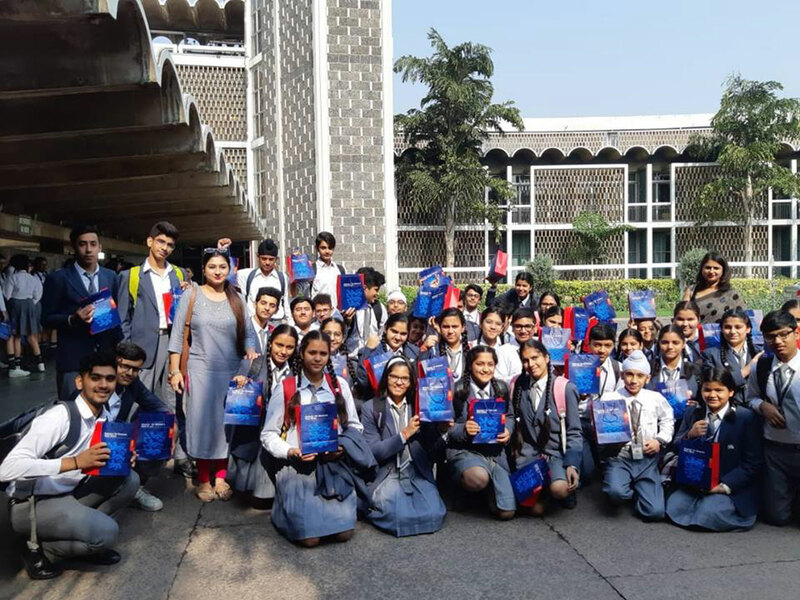 It helped the students gain an insight into the demeanor, which incarnates the magnanimous position of the President, and the delineation of Indian history. 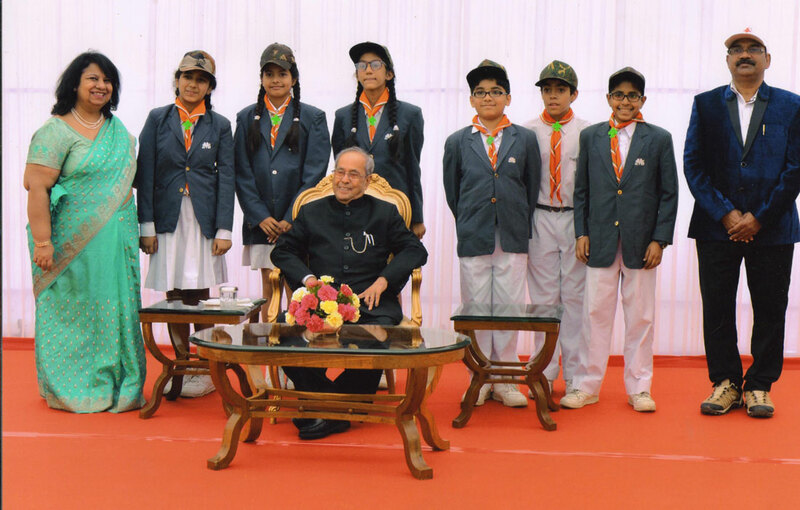 The tenacious students, after a long wait, were able to meet our Honourable President Shri Pranab Mukherjee and even got an opportunity to communicate with him, thereby comprehending his perspicuous nature and discovering his penchant for education and for the youth. 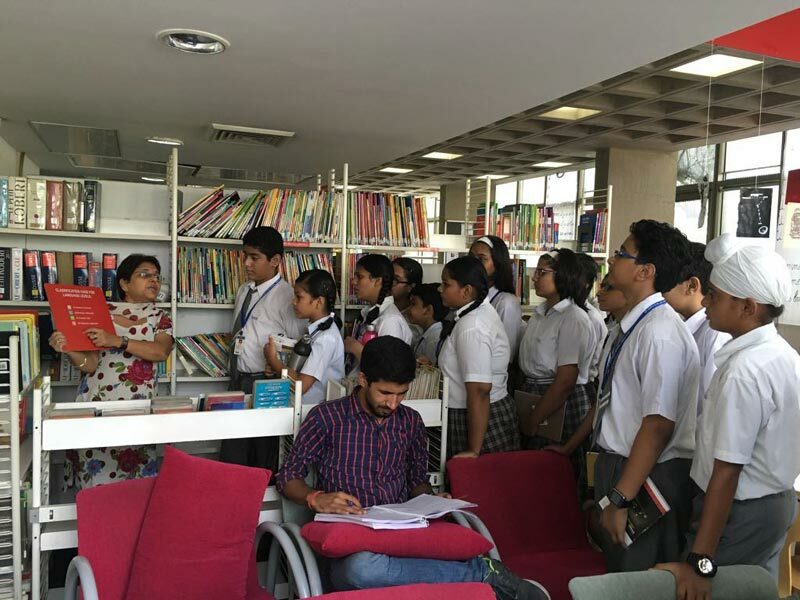 To enhance the knowledge of French Language, a visit to the French Library was organized at Alliance Francaise. The students of Class VIII were given the opportunity to explore the world of French Language. Students learned a lot about the different kinds of books available at the French library. 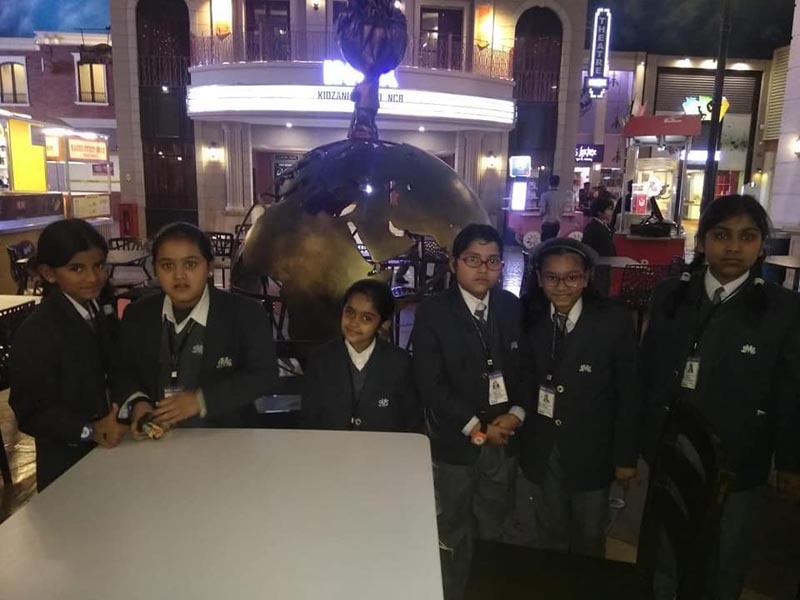 They also participated in the French Quiz based on their culture and civilization thus gaining an insight into French culture. 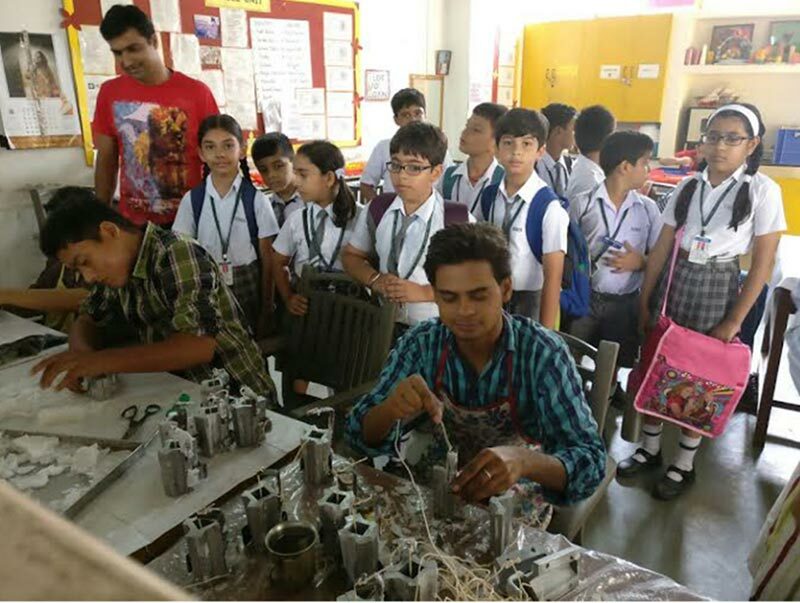 Students of classes IV & V visited NGO – MUSKAN on 17 Aug 2016 as part of Hobby Club Activity of Interact Club. 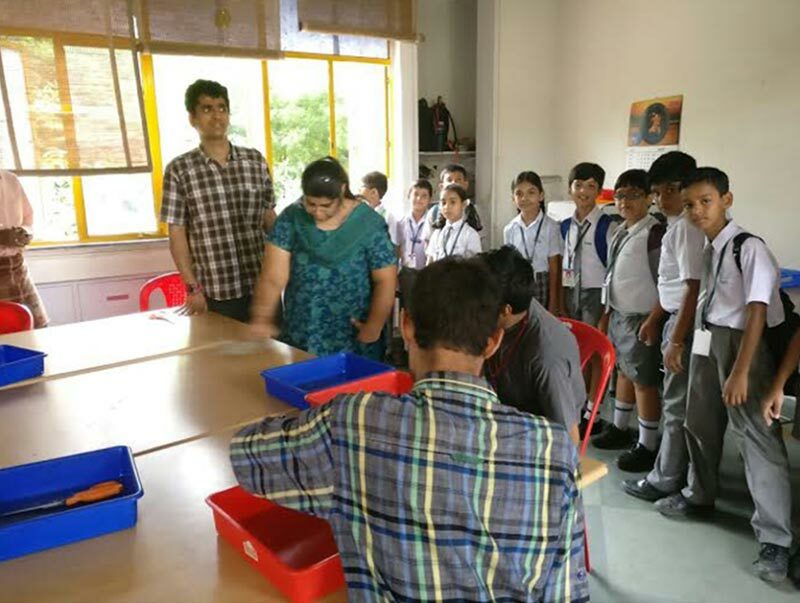 The purpose of the visit was to sensitize the students about the ways an Intellectual Disable Child cope up with life. To make sure that they become self-sufficient at day to day activities is the main aim of MUSKAN. 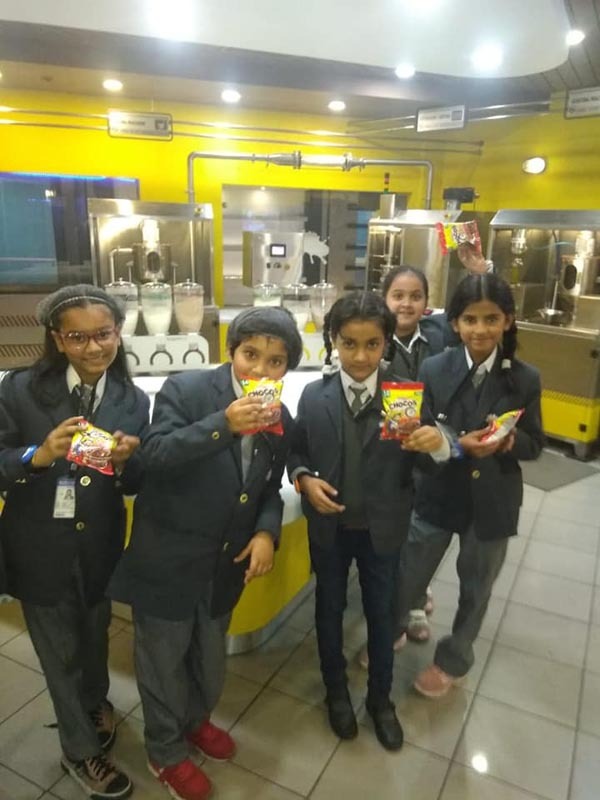 Our students when entered the ECO-Friendly campus of the NGO were divided into five groups and were taken to different work units like pickle making unit, jewellery making unit, paper bag making unit, candle making unit, baking unit etc. 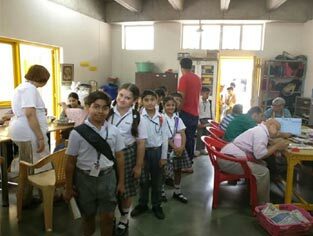 where mentally disabled children were given training. Our students greeted these children with sweets, flowers and hand made cards. 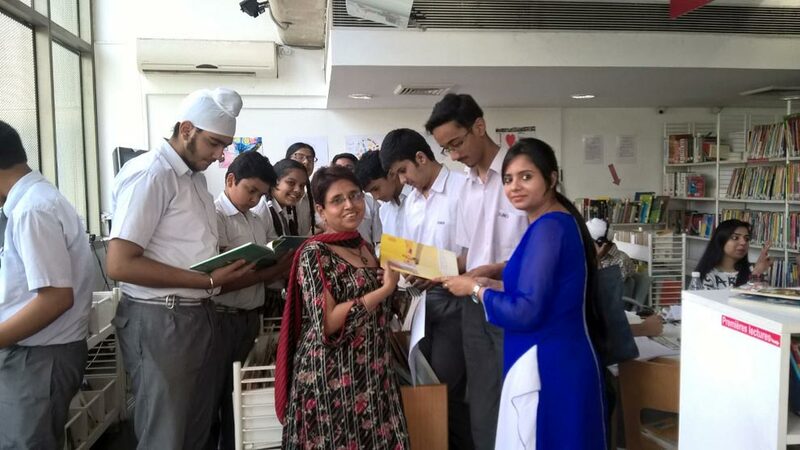 We also had an interactive session with Assistant Director of the NGO Ms. Abha Karn who encouraged and motivated our students to help not tease these differently abled children. 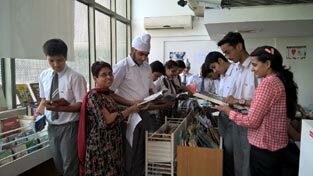 Our St. Markians also contributed by purchasing various items prepared by differently abled children. Overall it was an enlightening and touching experience for teachers as well as students. A group of 69 students from classes III to VII accompanied by teachers visited the Indian Science Festival at Thyagraj Stadium on 11 August 2016. 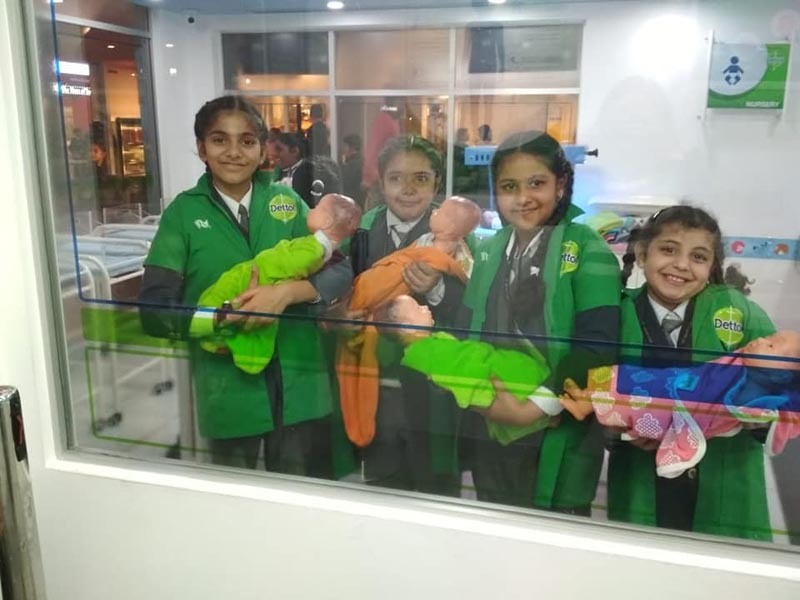 The main aim was to make the students familiar and aware of the various new scientific technologies like which were interpreted using easy simulations and first hand experimentations. 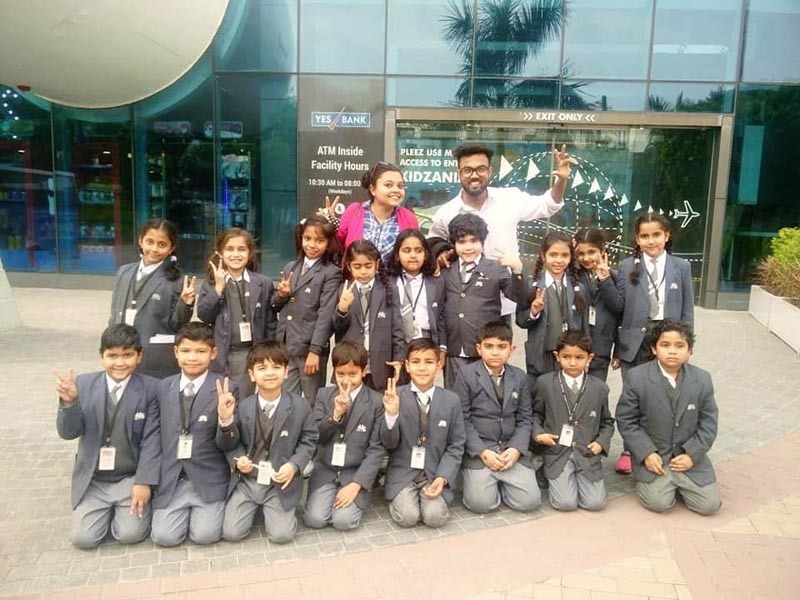 The whole exercise was to develop ideas, activities and quest for innovation towards a joyful learning through evaluation and analysis rather than depend on rote learning. 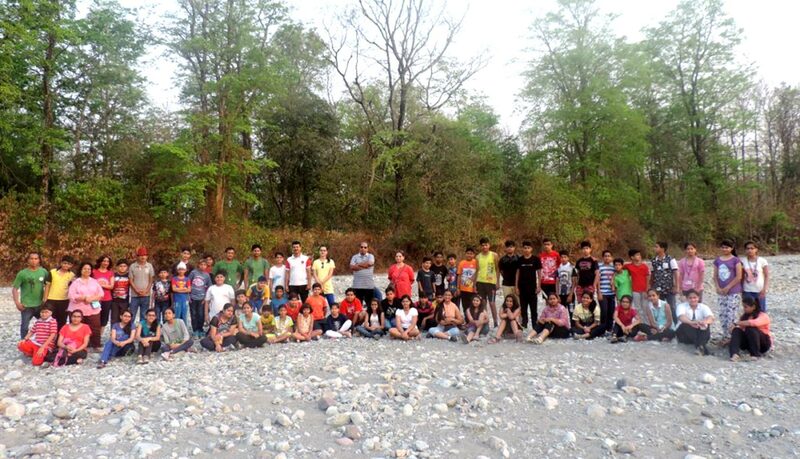 Our school organized ‘Camp Anubhav’ for students ofclasses V to IX at Tiger Sanctuary, Jim Corbett Park. 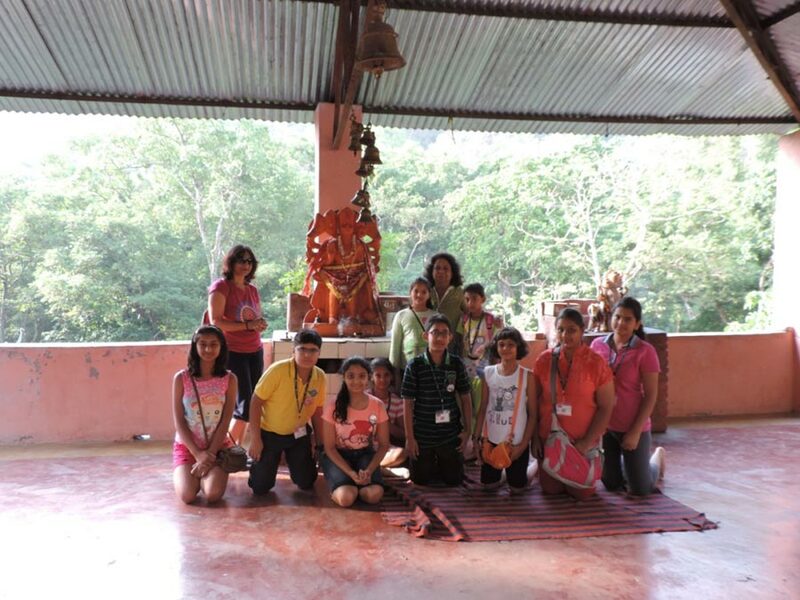 This trip was an experiential learning for the students. 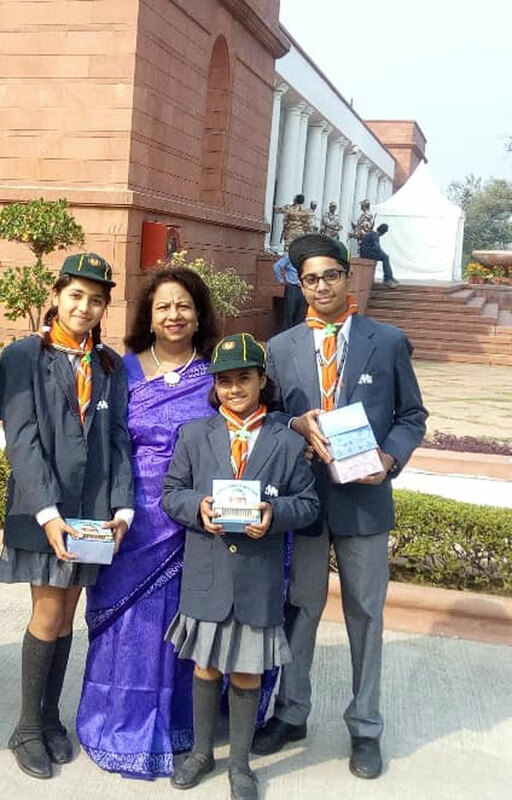 They indulged in various adventure activities, visited nearby places, exchanged notes with the local inhabitants and learnt new skills. 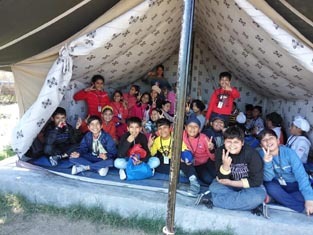 At the camp, the days were divided into 5 phases to align the students with their natural body clock. 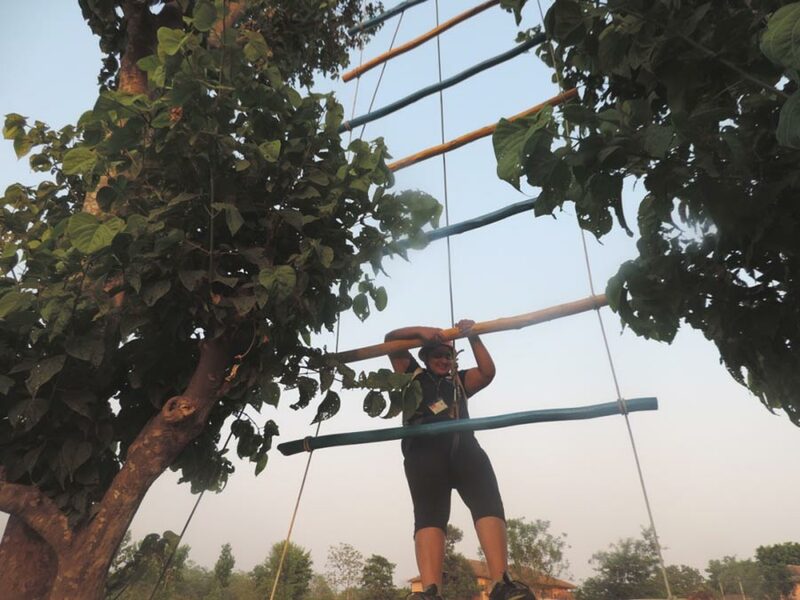 Each phase provided a specific experience in accordance to Ayurvedic ‘Doshas’ to enhance different qualities or ‘gunas’. 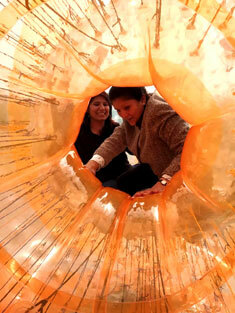 The Adventure began at the outset of the journey. Students had to undertakea 8 km. 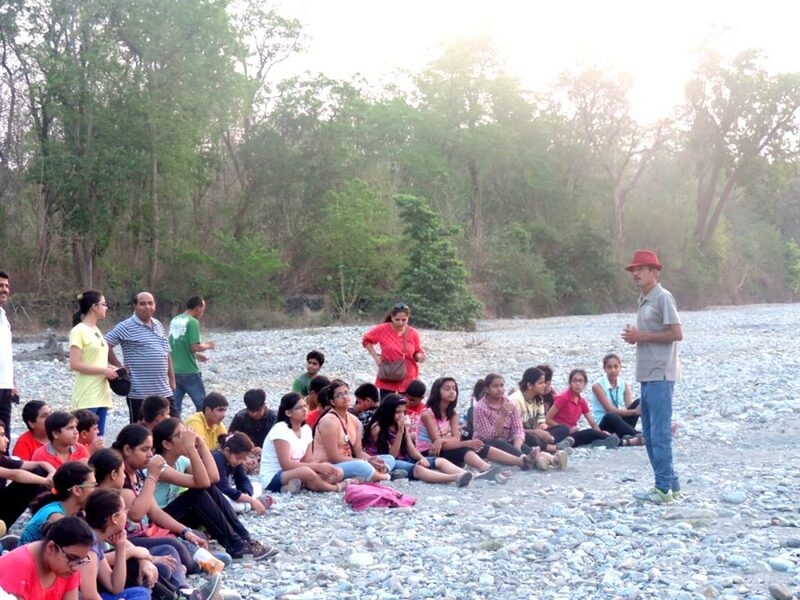 jeep ride and cross a dry river bed en-route to reach the camp site. 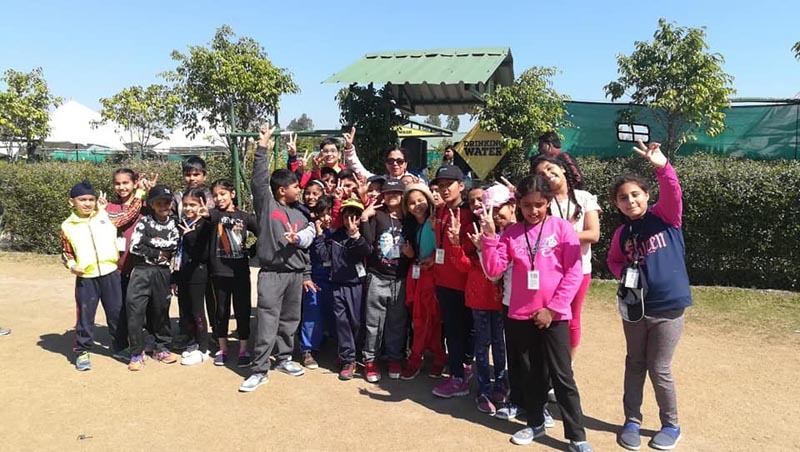 They explored through nature walks and jeep safari. 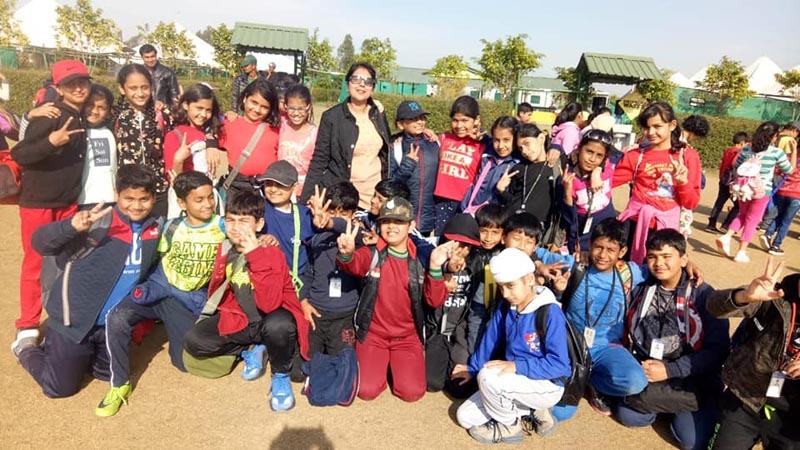 They tracked tigers during the first night out itself, discovered pugmarks and watched elephants, deer, monkeys and exotic birds in their natural habitat. 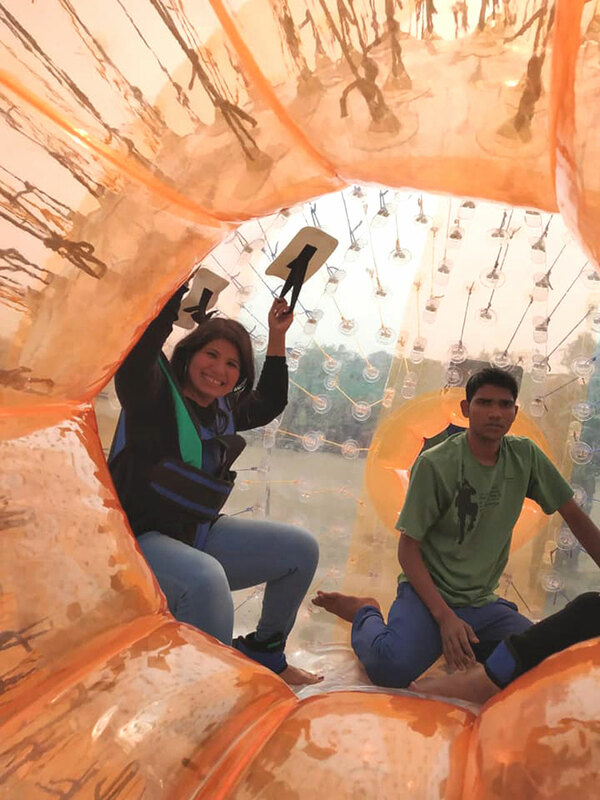 The hammock and the unhindered view of the starry night ‘exported’ them to a different planet altogether. 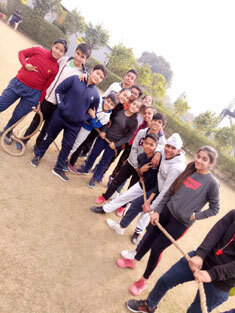 While some Camp activities were meant to teach the students how to be independent and self - reliant, indulging in group activities made them aware of the importance of team work. 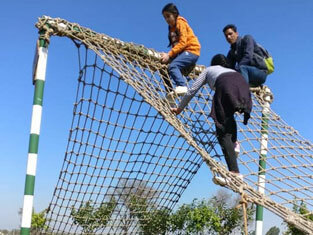 Thus they acquired new strengths and became responsible individuals by pushing themselves physically and mentally. 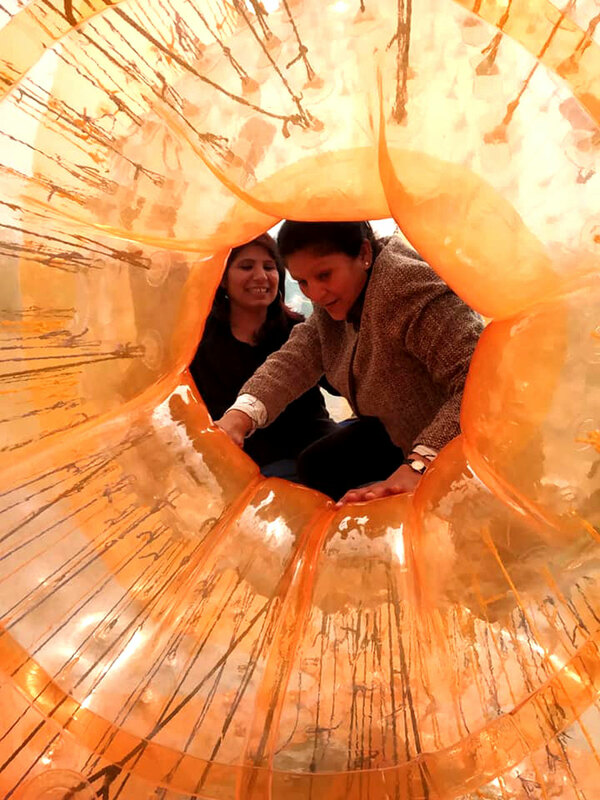 Art, Artifacts, history and much more . 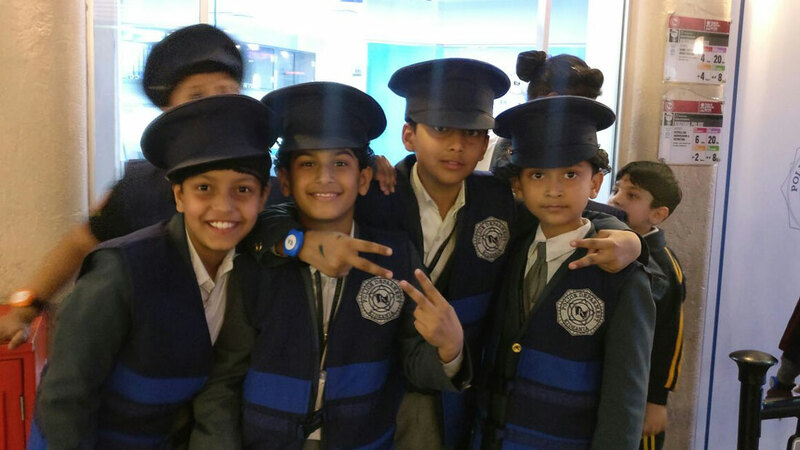 . .
Students of Heritage Club enjoyed their day out with their respective teachers and learnt about their past in an interesting manner. Students of class VI, VII & VIII learnt about the myrid aspects of History. They were divided into two groups under the tutelage of two guides. 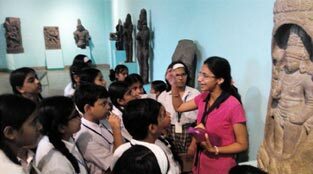 The guided tour began with the introduction of the great river valley civilization called the Indus valley civilization or the Harappa age. The students saw the various artifacts of that period belonging to different sites such as Dholavira, Harappa & Mohenjodaro. 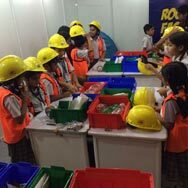 The live seeing of the objects took the entire learning experience to a new level. 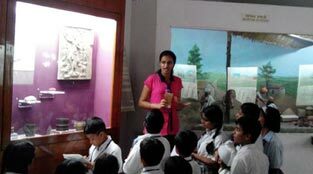 Students also learnt about the process of coin minting, Buddhist history and the various ages of Mauryan empire and the Gupta Age. 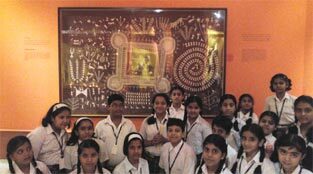 The added attraction of this entire trip was the rock cut sculptures, sword of Aurangzeb and the miniature paintings. 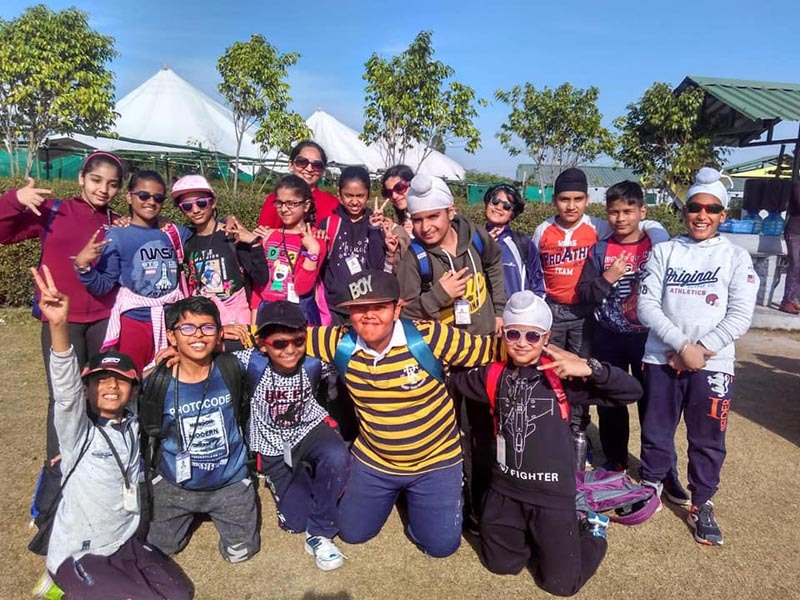 Overall this study tour connected the children to their roots, was a eye opener where they learnt about India’s amazing intellectual and material wealth. 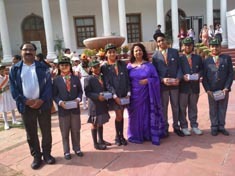 Saw the spiritual growth of India and also understood the concepts of conservation and archeology. 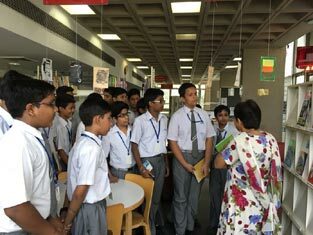 Our school organized a visit to the French Library of Alliance Française on 11 May 2016 in which 30 students actively participated from Class X. 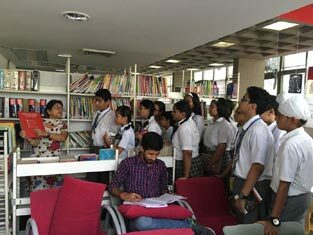 Students got the opportunity to explore the French Library and to know more about the different kinds of books available there. They also actively took part in the quiz organized by the campus France and they also enjoyed watching a French movie in the auditorium. It was really a learning experience for the young learners. 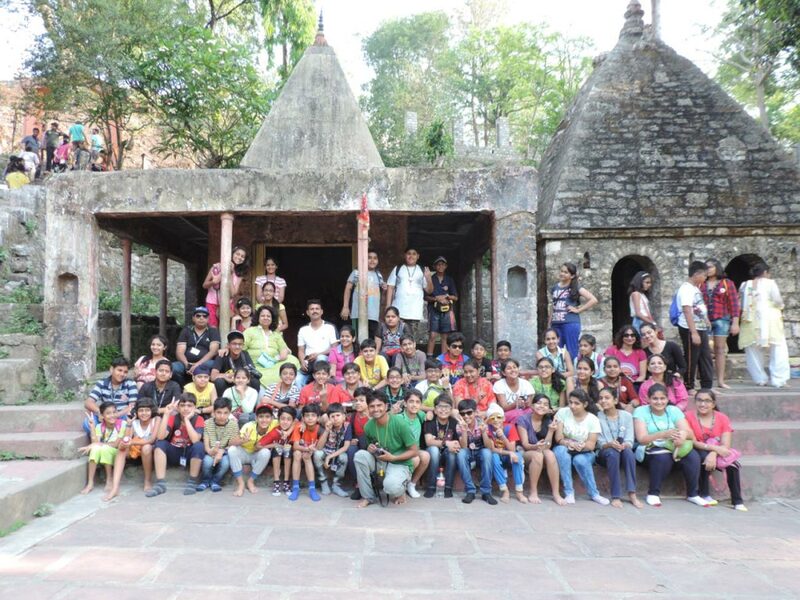 Students of the Interact Club visited Drishtikon NGO - A view point on 29 January 2016. 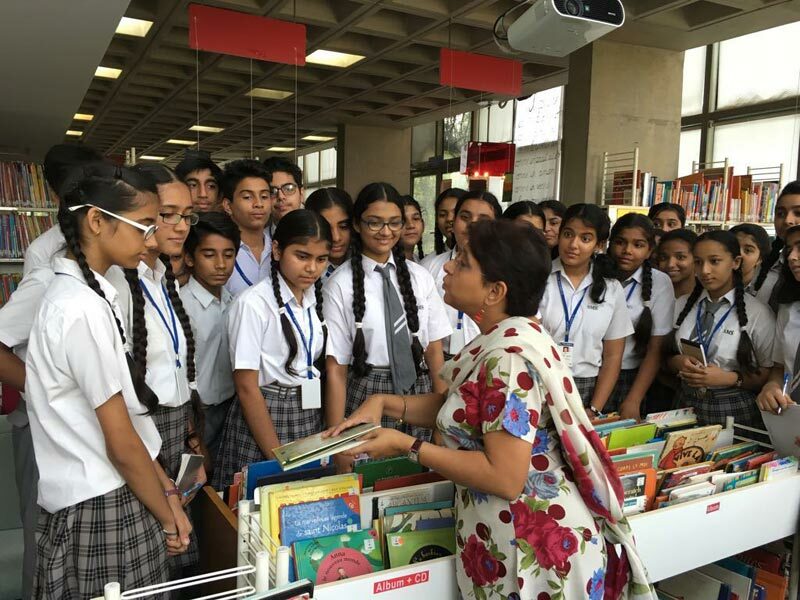 The NGO is working for women empowerment and also facilitates drop outs in completing their education. 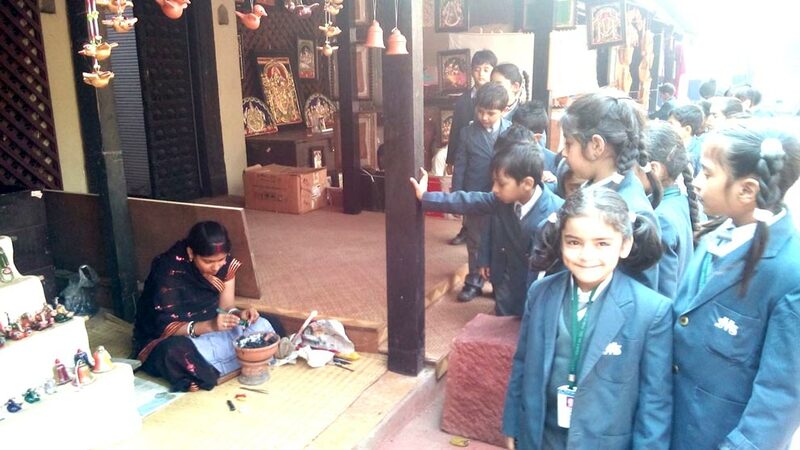 Apart from focusing only on education, they’re also running a vocational center from women. 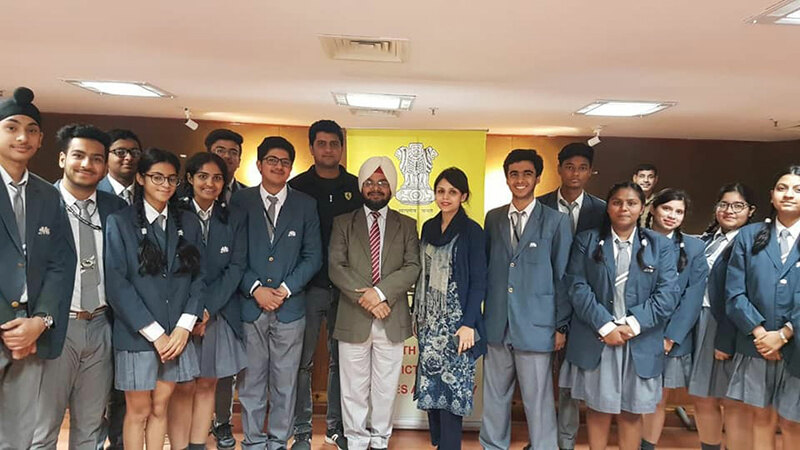 The students of classes IV and V had an interactive session with the representatives and the members associated with the NGO. 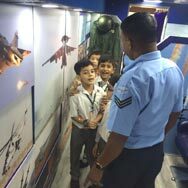 It was a very learning experience for the children. 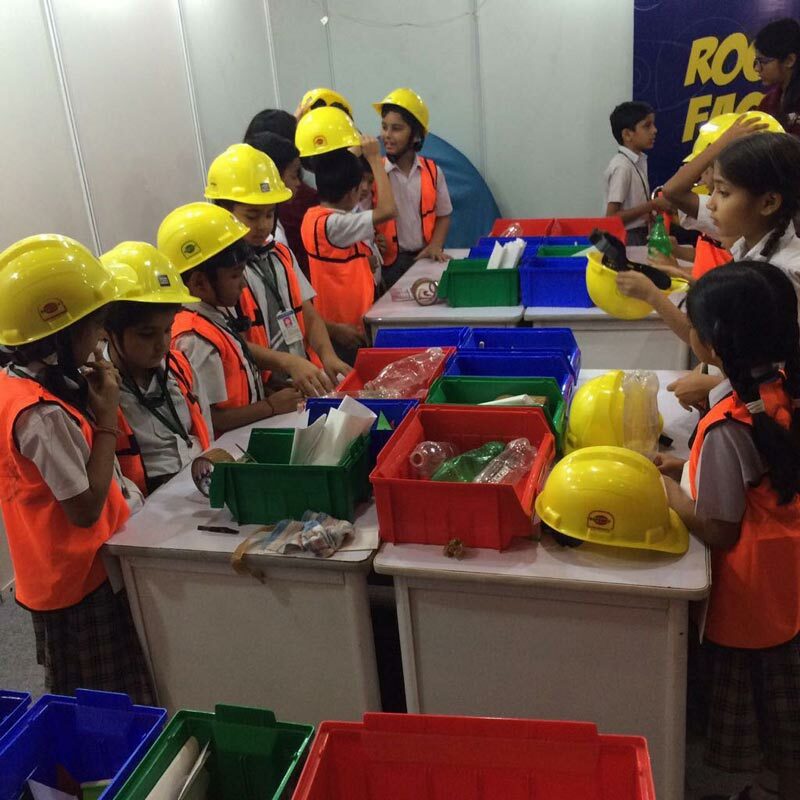 The students were able to acquire certain life skills which would help them to shape up as a better individual. 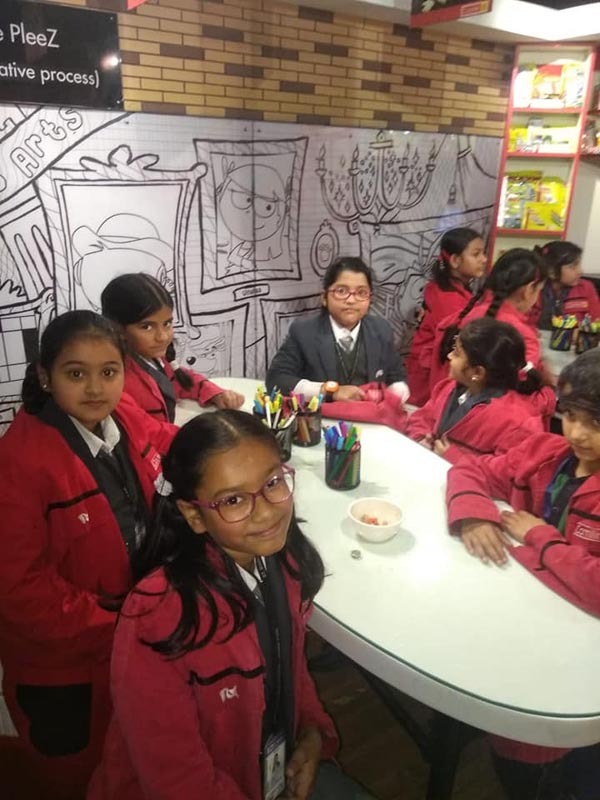 Students of Exploration Club from Classes I to III visited Crafts Museum, New Delhi as part of their Hobby Club Activity on 28 January 2016 which is situated near Purana Quila. 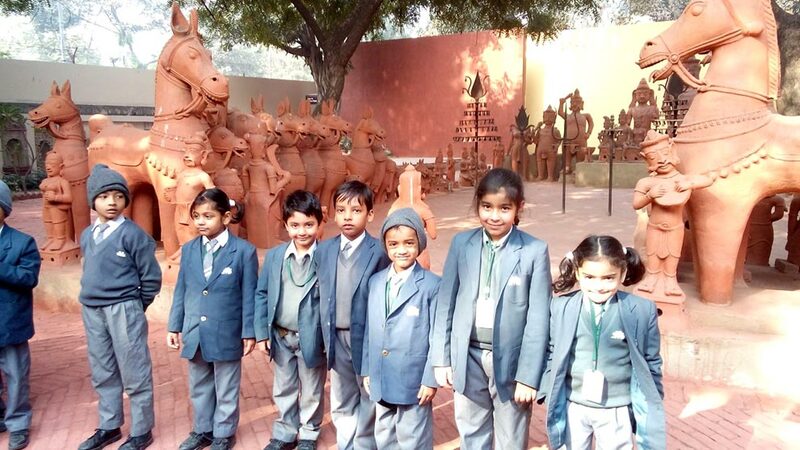 The spectacular display of terracotta horses from Tamilnadu welcomed the students to the beautiful calm and peaceful atmosphere of crafts museum which is set up in the surroundings of typical Indian village away from hustle and bustle of Delhi city’s life. 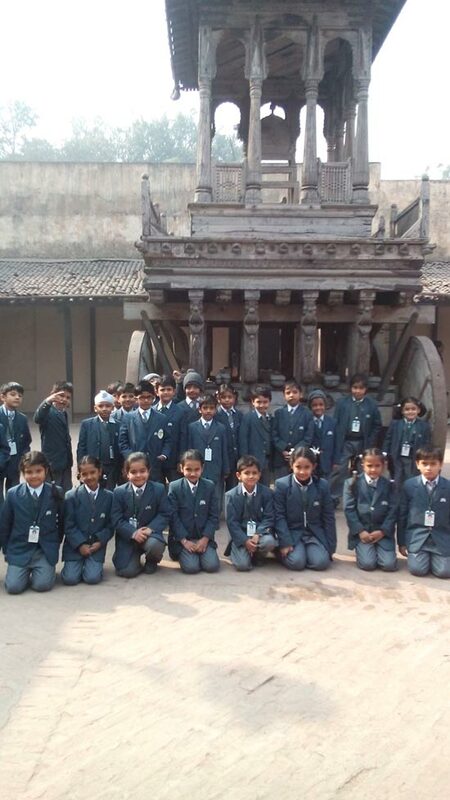 Students enthusiastically enriched themselves with the rich art and craft, traditional and cultural heritage of India. 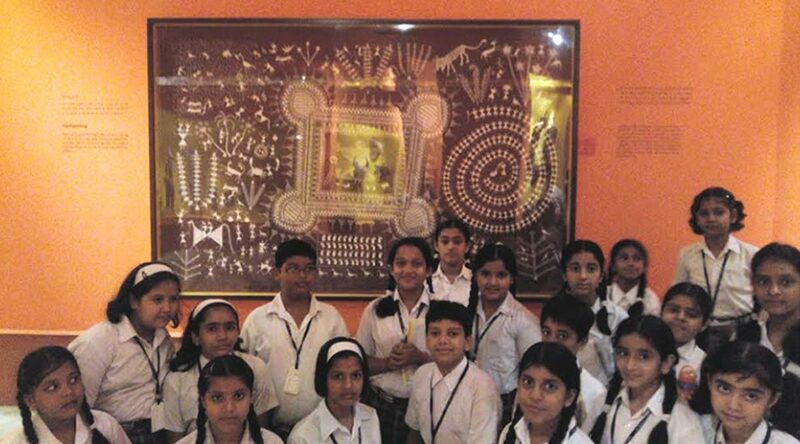 Students were amazed to see the rare collection of tribal art, hand paintings on the walls of mud huts, pottery, jewellery wood carvings, metalware and unique embroidery from different states of India. Students also interacted with the best artisans of India and watching these craftsmen at work was visual treat. 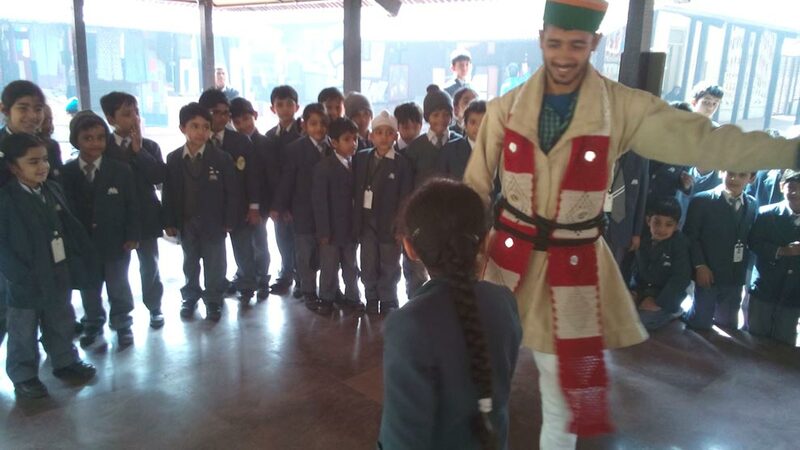 Students danced with the artists from Himachal Pradesh who were performing ‘Gaddi Dance’ form. 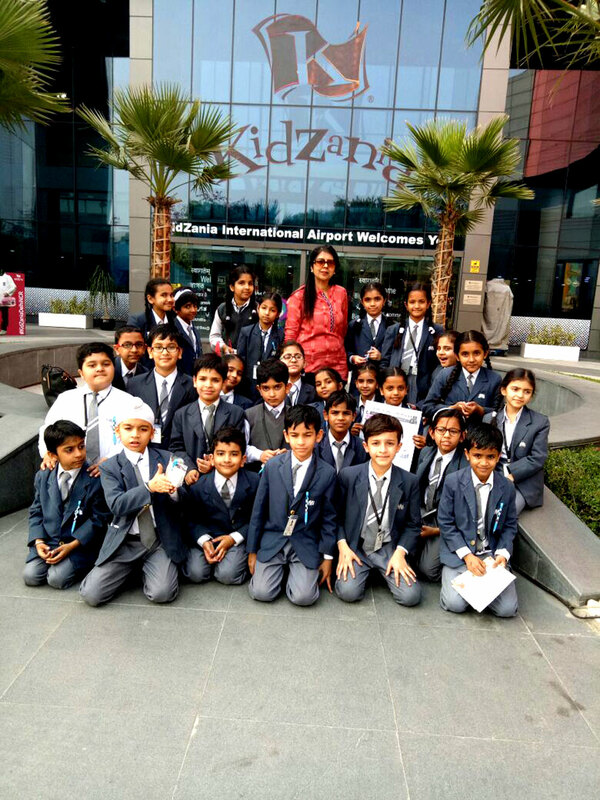 It was a wonderful and amazing experience for students where they educated themselves about rich craft & cultural heritage of India.